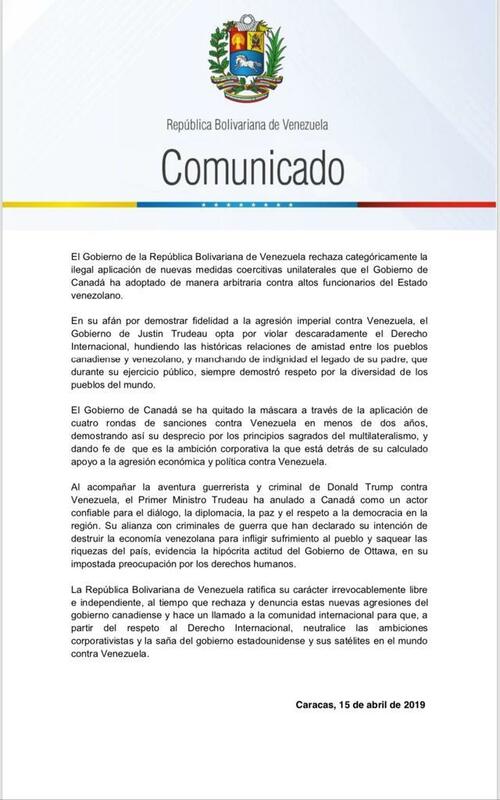 Jorge Arreaza: The Government of the Bolivarian Republic of Venezuela categorically rejects the illegal application of new unilateral coercive measures that the government of Canada has arbitrarily adopted against high officials of the Venezuelan State. 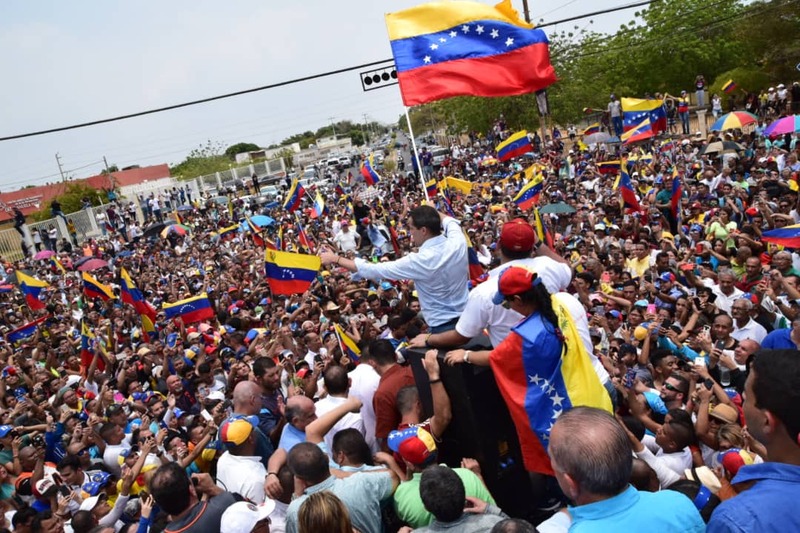 Grupo de Lima declares that the cessation of the usurpation is essential for the realization of free elections in Venezuela. 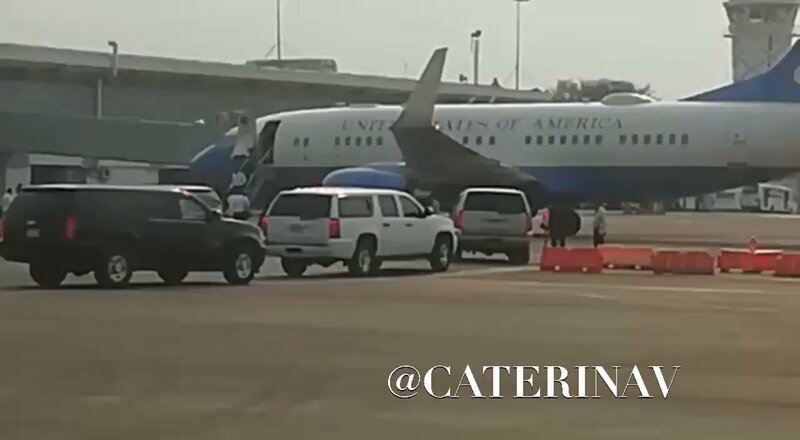 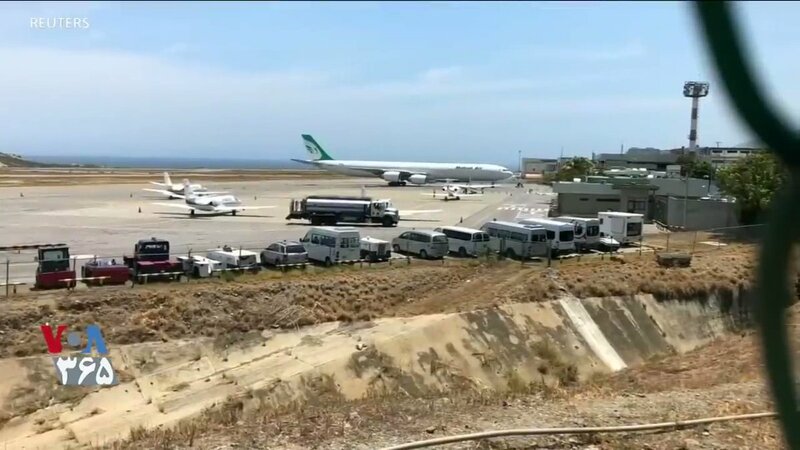 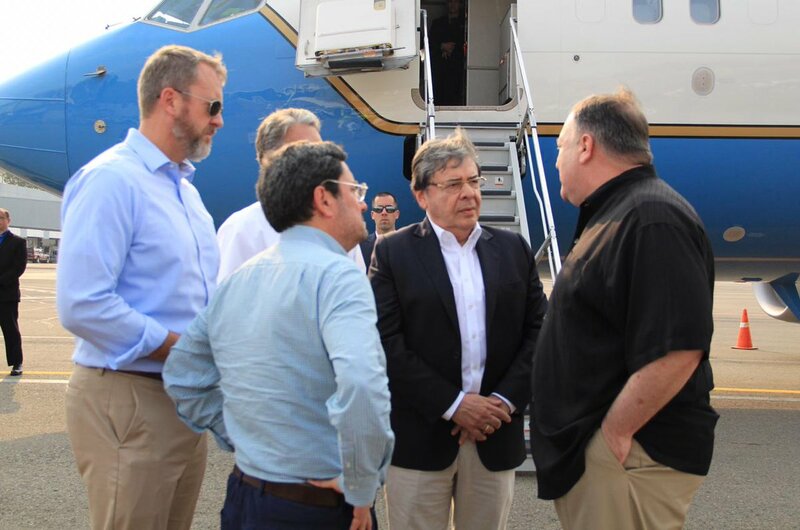 Venezuelan officials of the Maduro government leave Costa Rica. 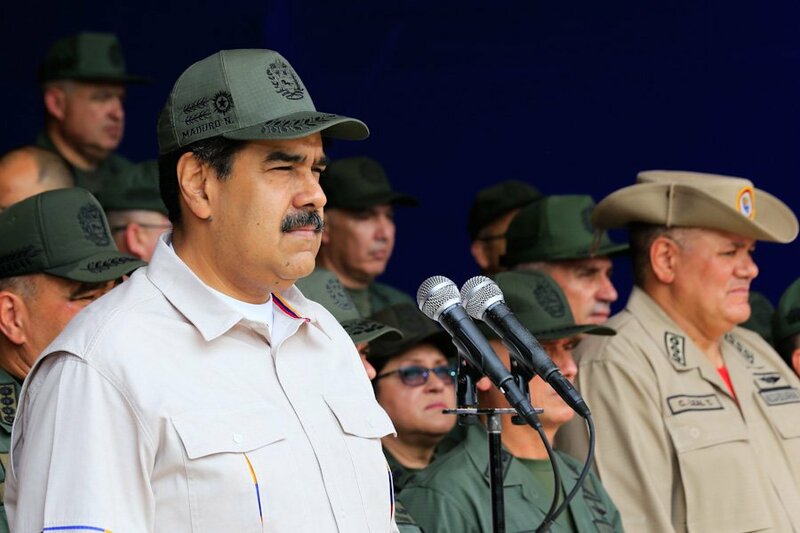 Canada Sanctions 43 additional officials from the Maduro environment, "in response to the persecution of @jguaido's team, the censorship and the use of force against civilians." 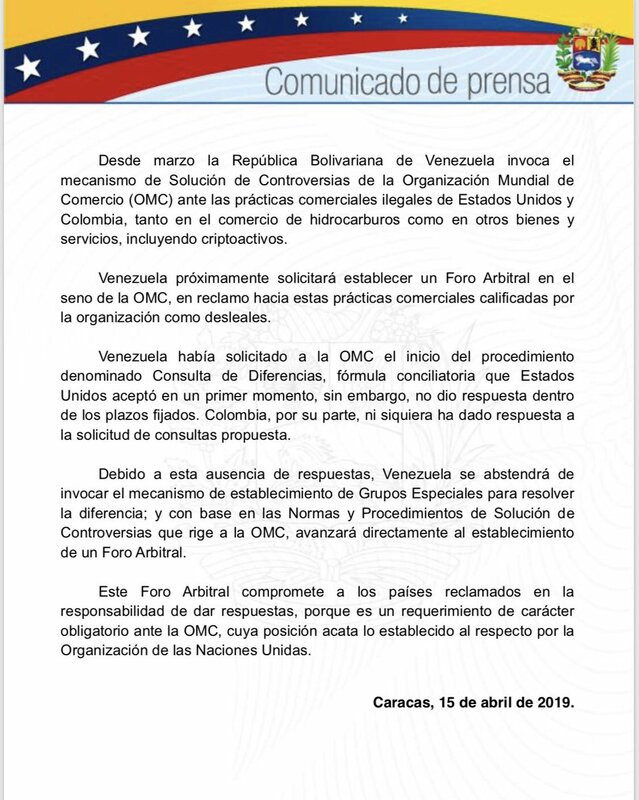 Venezuela denounces to the World Trade Organization (WTO) the illegal commercial practices of the US and Colombia and will soon request an Arbitration Forum. 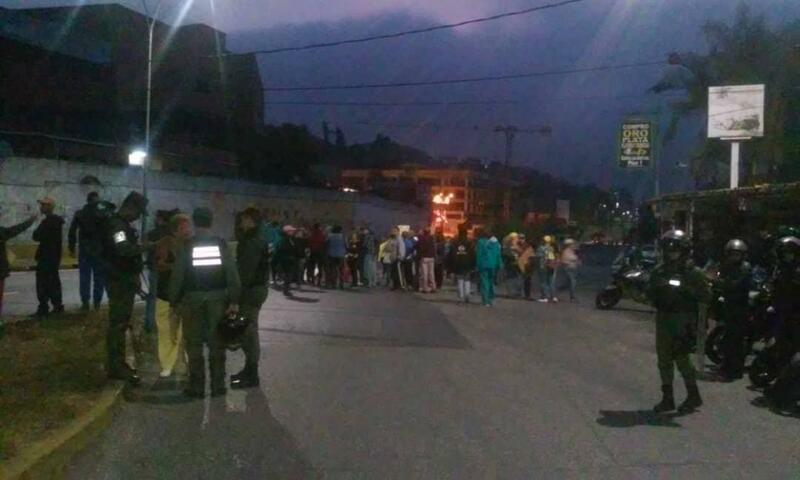 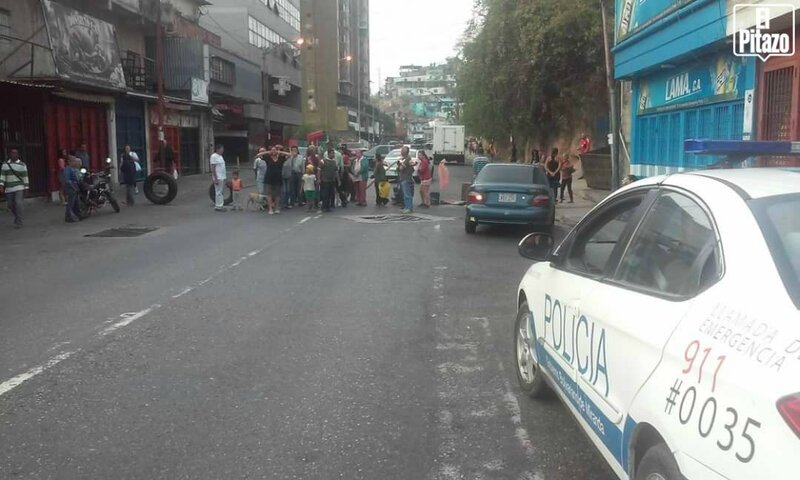 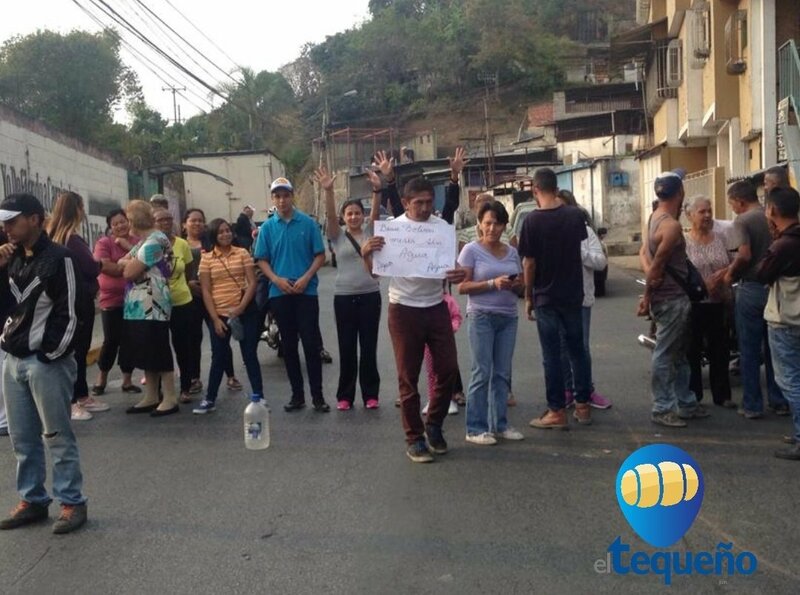 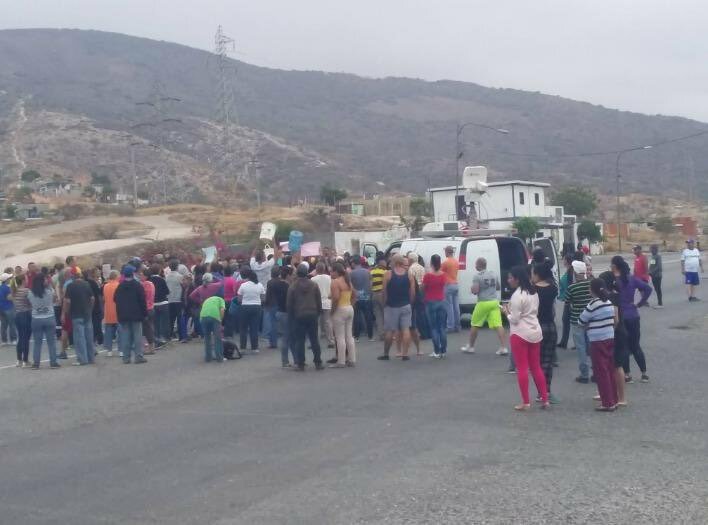 Protest in the North Circumvallation of Barquisimeto at the area of Macias Mujica, inhabitants have more than 1 month without Water. 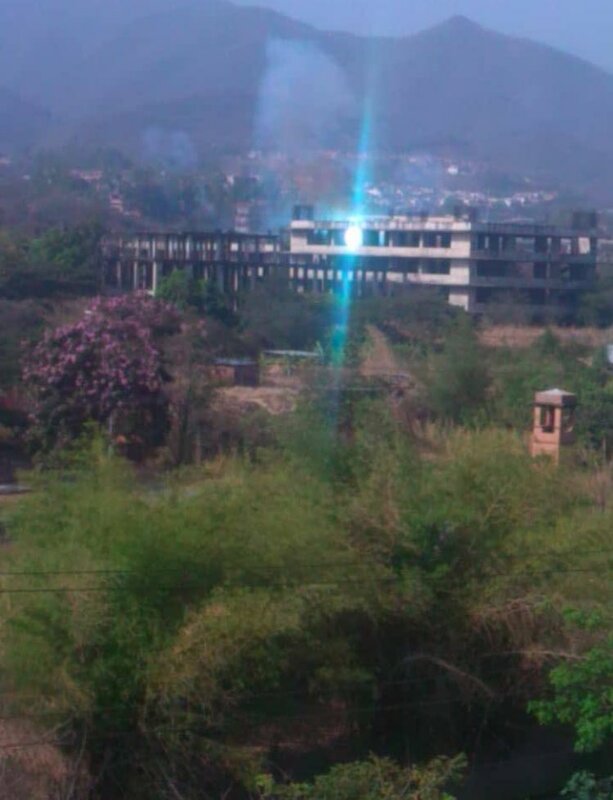 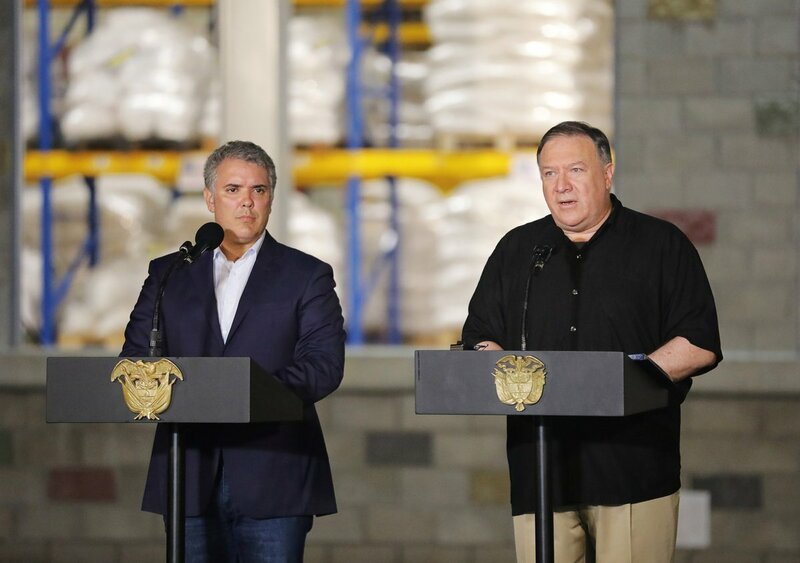 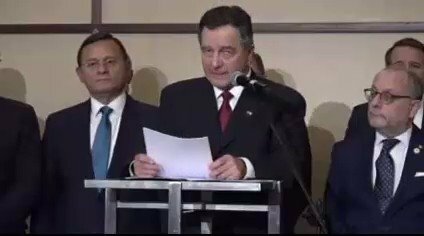 Secretary of State Mike Pompeo from Cucuta: "Mr. Maduro, open these bridges, open these borders, you can finish this today." 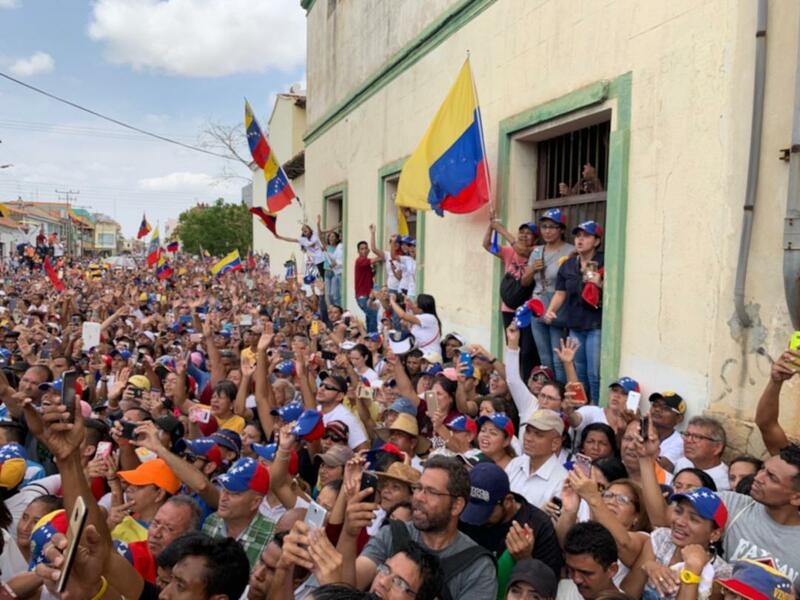 Acting President @jguaido continues his tour through the state of Zulia. 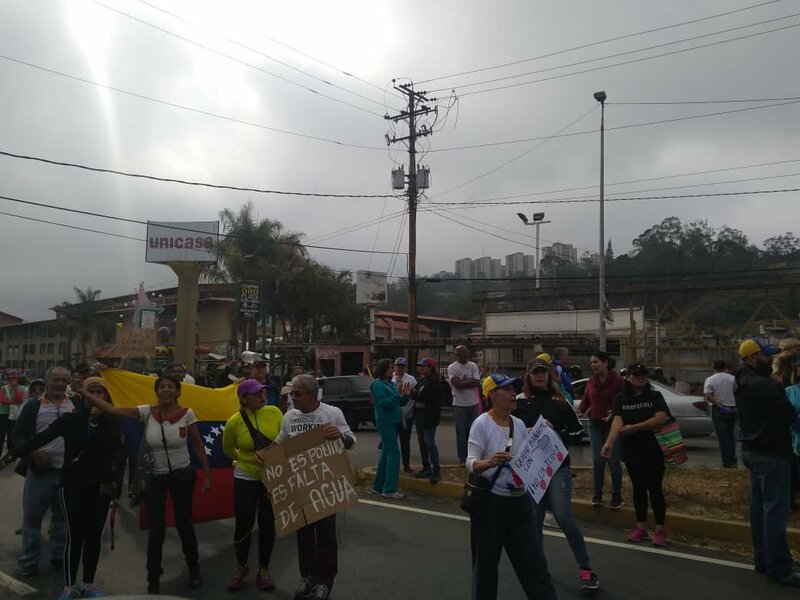 This Sunday was in Cabimas.